On April 8, Milan Design Week attendees flocked to Spazio Maiocchi to celebrate Spanish artist Guillermo Santomá's latest installation, the result of a creative partnership between contemporary art magazine Kaleidoscope and storied luggage brand RIMOWA. 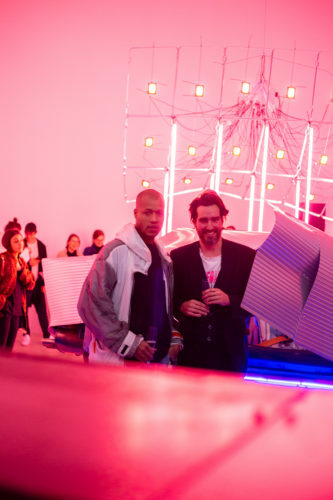 Titled “GAS” after pop artist Ed Ruscha’s iconic book Twentysix Gasoline Stations, the installation focuses on a custom car clad entirely in RIMOWA aluminum that nods to the Light and Space movement and West Coast car culture in equal measure. A photo zine and short film—shot by Thibaut Grevet between the Monegros Desert and the artist's studio in Barcelona—shed further light on Santomá's process. Opening night attendees included Sabine Marcelis, Hector Muelas, Jon Gray, and more.